Savage Umbrella - 36 in. Black/Silver for use as a reflector. 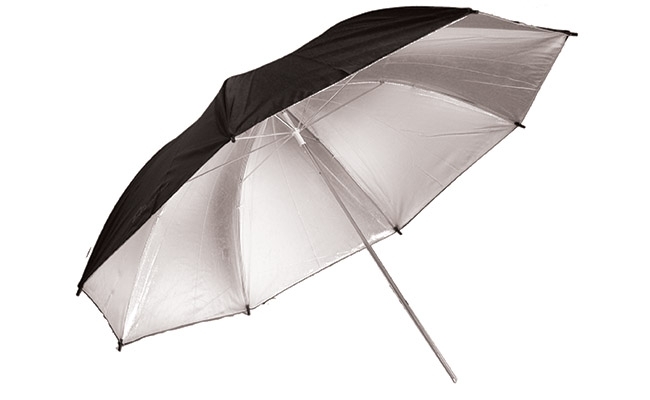 Provides greater reflection and less diffusion than a white umbrella. Can be used with hot lights up to 1000 Watts.